GNS is a second generation family owned and operated company. Founded in September of 1995 by Gregory (Greg) Palie Sr. the company has outgrown three locations and is now strategically located between Orlando International Airport and Orlando Executive Airport. In 2003 GNS Limousines was voted Limousine Service of the Year by Limousine Digest Magazine. Owner Greg Palie is a founding member and two-time president of the Greater Orlando Limousine Association (GOLA). In 2006 Limousine Digest Magazine voted GOLA Limousine Association of Year. GNS Transportation Group represents over thirty limousine services from the sixteen largest transportation markets around the globe. Overall, you will find GNS is the best choice for Orlando Limousine Service and Orlando Executive Car Service. 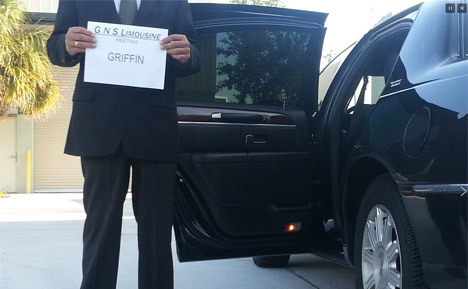 GNS’s chauffeur training program is the most extensive in Orlando. GNS submits criminal background checks to the FDLE, and Chauffeur Drivers License checks to the FDMV. Additionally all chauffeur candidates must obtain a CDL Medical Card. Once approved the chauffeur training process begins. All potential candidates are trained in local geography, GPS navigation, radio communications, credit card and voucher processing, and customer service. GNS also teaches the Hartford 3D defensive driving course and the Executive Chauffeur Training Course. Only those chauffeur candidates who complete our training successfully are allowed to become GNS chauffeurs. In addition, GNS conducts ongoing training programs throughout the year. GNS believes in surpassing our competitors, not only with service but in safety also. GNS employs an aggressive maintenance schedule that consistently keeps our vehicles operating in optimal mechanical condition. Each GNS vehicle receives: A daily operational inspection. A mechanical and suggested service inspection every 3,000 miles. Finally a yearly inspection by a City of Orlando Vehicle For Hire Mechanical Inspection Station. THE GNS STANDARD OF SAFETY GIVES YOU THE PIECE OF MIND THAT WE WILL GET YOU TO YOUR DESTINATION SAFELY EVERY TIME. To insure our clients are riding in a clean well maintained vehicle every time, GNS incorporates a three stage pre-trip preparation process. Each vehicle is thoroughly washed and detailed inside and out. Every accessory is inspected and tested for proper operation. The vehicle is staged per the client’s request. GNS use cutting edge technology to integrate our reservations, dispatch, vehicles, and chauffeurs. Whether you make a reservation by phone, or via the web in real time, reservations, confirmations, and personal data are secure and certified by SSL for quick and accurate reply. Our GPS mapping and tracking supplies chauffeurs with precise routes and our dispatch center to track the movements of each vehicle, giving us the ability and flexibility to meet last minute changes, and requests. Flight View direct link satellite feed to our dispatch and chauffeurs keeps us informed of flight schedule changes, for all commercial and private aircraft. Limousine services, private aviation, event planners, meeting planners, and travel agents – at GNS we understand that a lot goes into planning perfect transportation. Because we’ve handled the needs of all kinds of demanding customers, we know how best to provide a great transportation experience not just in Orlando, but everywhere in the world. If you’re interested in how GNS can help you meet the needs of your customers around the world, contact us here.